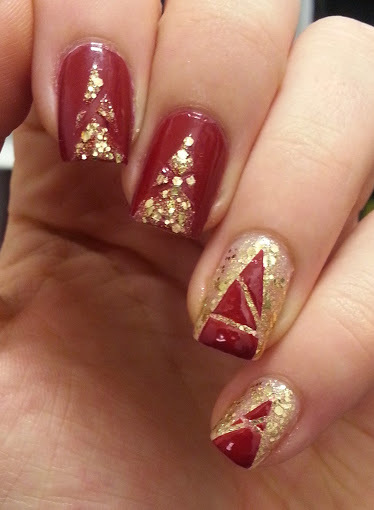 I decided to do another Christmas Tree nail art and this is what I came up with. Simple, easy and beautiful! So let’s get started. 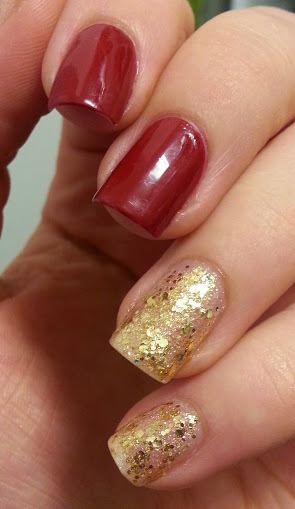 Start off with a basecoat and apply a gold glitter polish to your thumb, ring and pinky finger and a red polish to your index and middle finger until opaque. I applied three coats of the glitter polish. 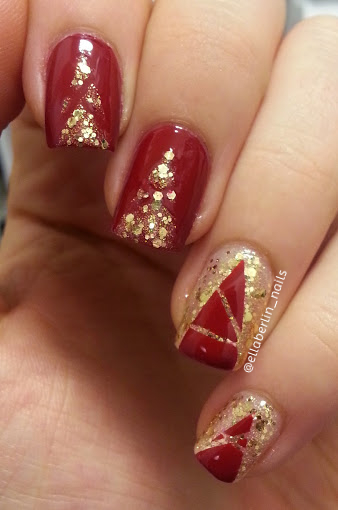 Let that dry completely and apply some striping tape in the shape of a triangle. 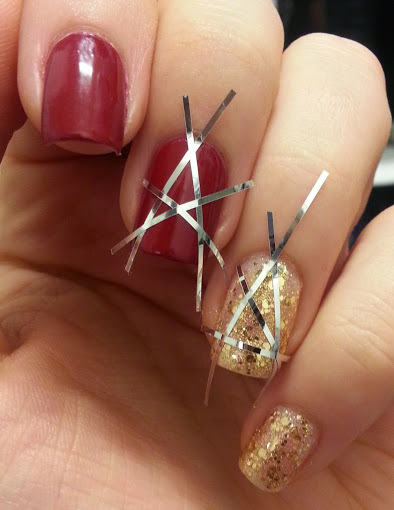 In the triangle apply two more tapes in any directions you wish and press them down to prevent the nail polish from leaking under. 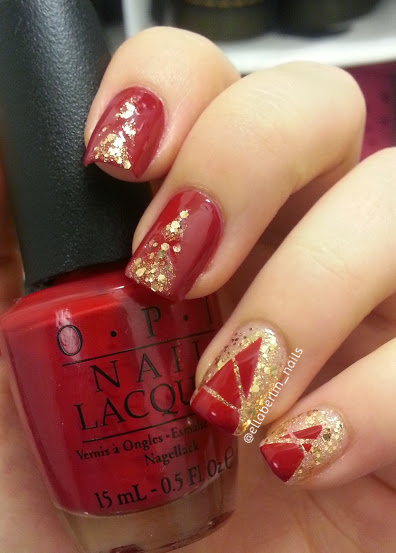 Apply the glitter to the red nails inside the triangles and the opposite to the glitter nails. 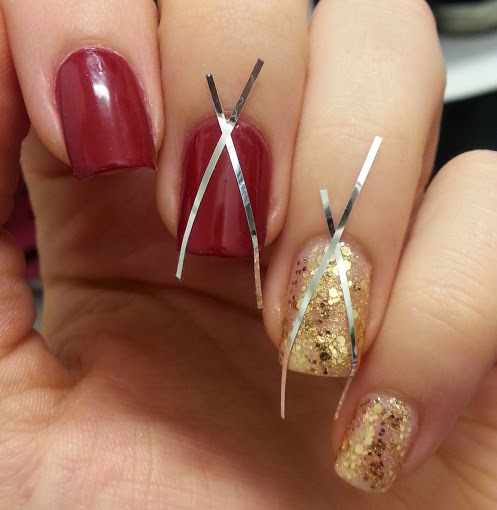 Drag the tape off as fast as you can so the polish won’t get to dry that much. Apply a topcoat and you’re done!